i. 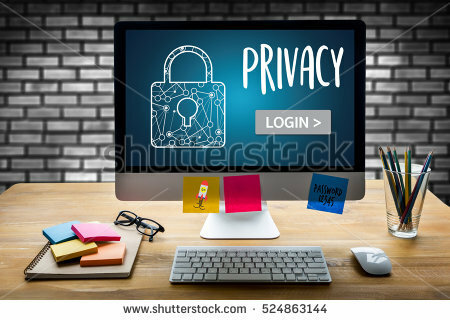 Your data:The provision of personal data is voluntary.It typically includes your/your child’s name and contact details, including physical address, telephone number and email address, why you have decided to contact Sea Psychotherapy andany other information you have chosen to share. ii. Information processing: Personal information is processed with your consent, on the basis of our contractual relationship, legitimate interests and legal obligations. Your/your child’s personal information is never shared with third parties without your consent. It would only ever be shared if there were safeguarding concerns and this would be discussed with you prior to sharing your information. iii. Security: Sea Psychotherapy takes appropriate and proportionate technical and organisational measures to prevent the loss, destruction, misuse, alteration, unauthorised disclosure or access to your/your child’s personal data. Personal information is only accessible by myself. iv. Your rights: You have the right to withdraw consent for your/your child’s personal information to be stored at any time. You can write to request confirmation of what information is stored and request a copy of that information. As of 25thMay 2018 I will comply with any such requests within 30 days. You can ask for your/ your child’s personal information to be deleted from my records at any time. v. Data retention: Unless your/your child’s information is still required in connection with the purpose for which it was collected, it will be deleted from my records six years after the date it was collected. vi. Third party websites: The Sea Psychotherapy website contains links to other websites and organisations. I am not responsible for the privacy practices or content of external sites. 2. Digital Policy: Sea Psychotherapy's digital policy sets out the ways your/your child's personal information is stored digitally. It also sets out Sea Psychotherapy's policies in relation to digital communication including social media. This digital policy applies to all services offered including psychotherapy, consultation, supervision and training. i. Personal information: Your/your child’s personal data is stored securely. All electronic records are password protected. Records are stored for as long as is reasonably necessary and no longer than six years. iii. Emailsecurity: Emails are not a secure form of communication and may be retained by service providers. It is not advisable to share personally sensitive data that can be recognised as belonging to a particular individual via email. It may be possible to disguise the identity of the individual, for example, by using initials rather names. I aim to respond to emails on Mondays. Wednesdays and Fridays and then delete them. iv. Skype: This is not a secure form of communication as the service provider may retain content. If we communicate using instant messaging via Skype I will immediately delete the conversation although the service provider may retain this. My Skype account (Jeanine Connor) is password protected. v. SMSsecurity: Due to the nature of my work, it is not always possible to answer the phone. SMS and voicemail can be used to leave messages. I aim to respond to messages as quickly as possible Monday to Friday and then delete them. Access to messages is password protected. vi. Socialmedia: Sea Psychotherapy has a private Facebook group where articles and links are shared that may be of interest. No personally sensitive information is shared in this group. Members of the group can submit relevant links and articles that will be approved before they are shared in the group. I ask you not to identify the nature of our relationship, past or present, in the group in order to protect your own and other’s confidentiality. I do not accept friend requests from clients, former clients or families on social media. You can join the Sea Psychotherapy Facebook group or follow Sea Psychotherapy on Twitter @Jeanine_Connor. vii. 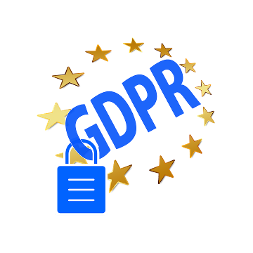 Policy amendments: This privacy and digital policy is subject to regular review and updated versions will be posted on Sea Psychotherapy’s website. I may also notify you of changes to the policy by email.